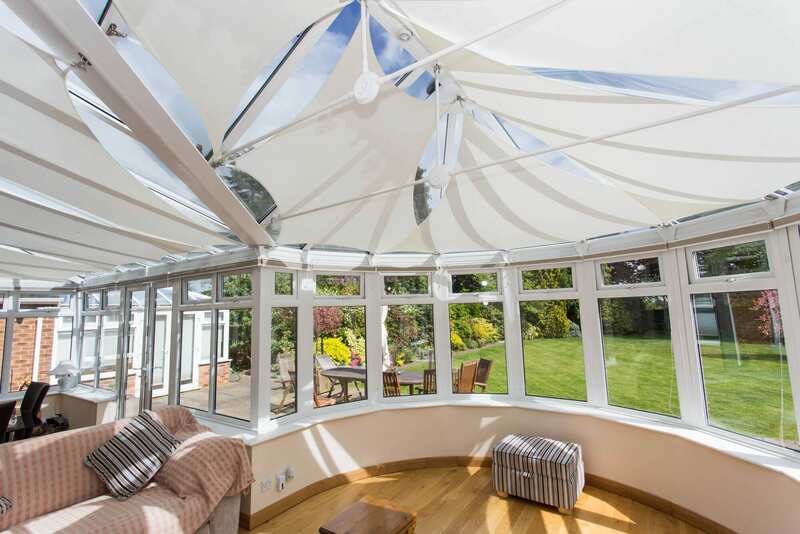 InShade delivers bespoke solutions that suit your needs and the way you want to use your conservatory, orangery or other sunny indoor space. At Shadeplus we specialise in solar control sails making living spaces comfortable and glare-free. Utilising modern technology and adaptive design we create a stylish look and exceptional value with all of our shading solutions. Why not take a moment to look over the benefits of our innovative solutions then click the button below or, call one of our friendly design team on 01786 450083.